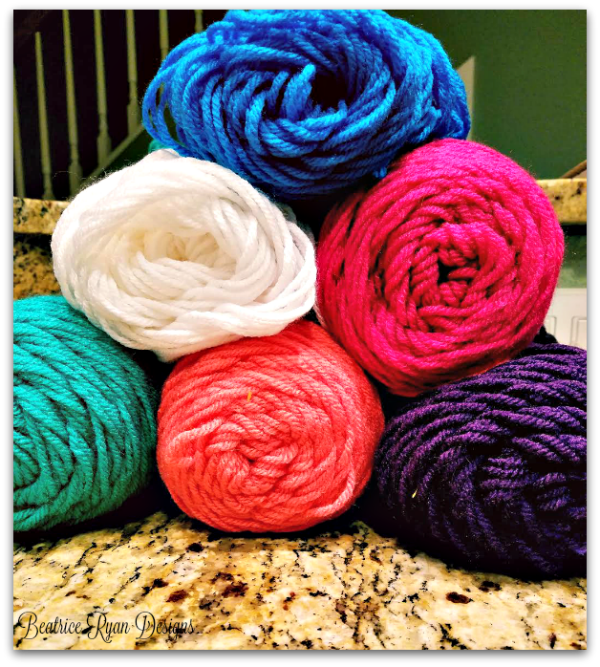 Custom Decorating with Crochet… The easy way to choose yarn colors!! 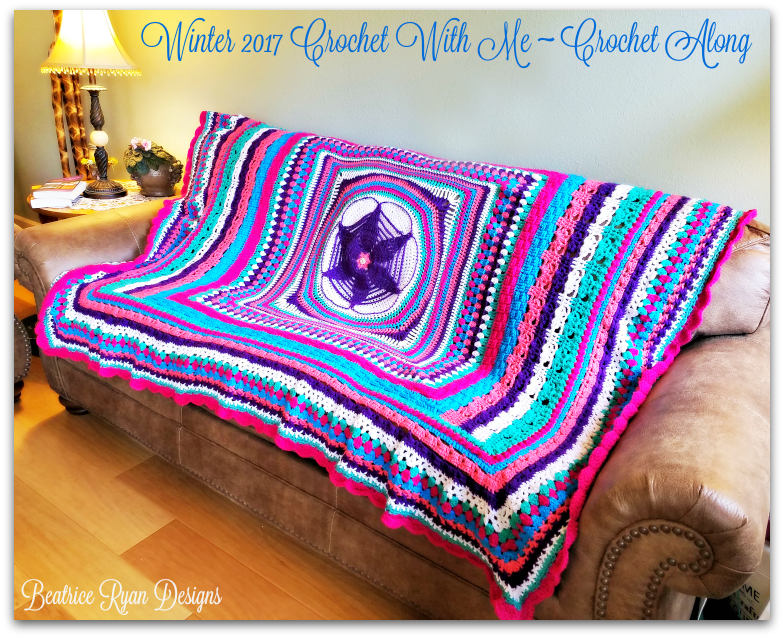 Now that the 2017 Crochet with Me – Crochet Along is done… I thought I would give you a tip on how I chose my colors!! It is fun and an easy way to get inspiration for your crochet projects for your home! As I was preparing to move into my new home recently, I was out shopping each payday for things to fill my home! I found so many things that had bright and cheery colors. I decided this year~ I would design the Mystery Afghan to add to my new decor! 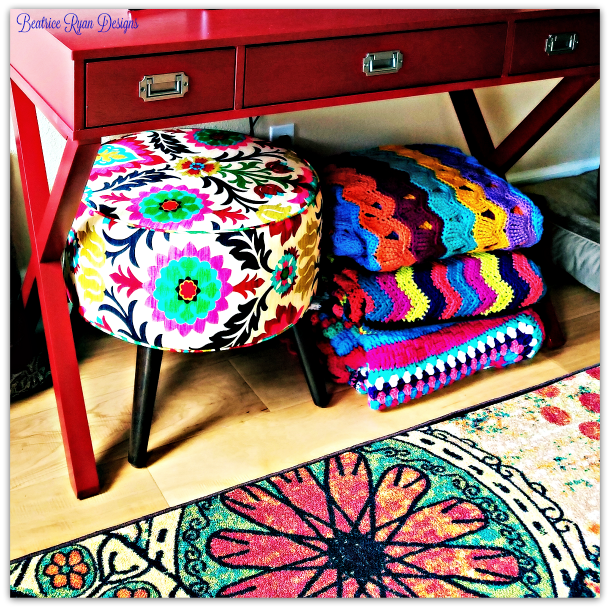 Below you will see a stylish ottoman/stool in fun colors and a whimsical pattern. The day I bought this, I decided to match up my yarn colors to this accessory. Off I went with ottoman in hand to buy my yarn… It was so easy! In just a few minutes I matched the 6 colors needed for this years afghan and I was out the door, almost to0 easy! This years afghan is in the bottom of the pile… but all 3 end up matching the ottoman! I must like bright colors… LOL! Crochet Living… My Journey of Crochet Decor! Crochet With Me… Week 9 CAL!!! Crochet With Me… Week 7 CAL! Crochet With Me… Weekly Crochet~A~Long Week 2!